Free taster-sessions give you the chance to experience crewing a sailing dinghy or taking a sit-on kayak out for a paddle. This is a great opportunity for kids and adults to give sailing or kayaking a try before committing to a longer training course. Sailing is within Whitehead bay close to shore, and each boat will have a club instructor or coach on board to show you the ropes. Open to all ages (except the very young) but all participants must be able to swim 25 metres. Wearing of buoyancy aids (provided) on the water is mandatory. Free taster-sessions give you the chance to experience crewing a sailing dinghy or taking a sit-on kayak out for a paddle. Sailing and kayaking is within Whitehead bay close to shore, and each sailing dinghy will have a club instructor or coach on board to show you the ropes. 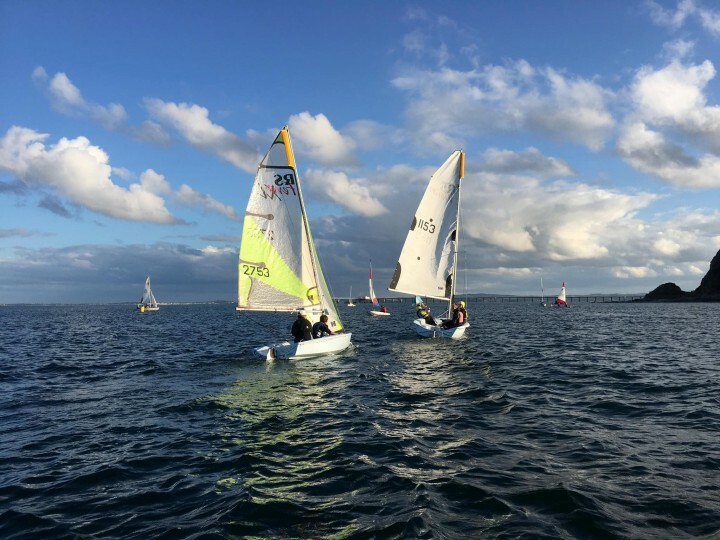 The time and length of each taster session will be determined by the number of people booked on and weather conditions but will be approximately 30 mins in a sailing dinghy and 30 mins on a kayak, but we endeavour to get you on the water at the time you have booked. Please get in touch in advance to book to avoid disappointment. A BBQ and refreshments are on offer throughout the day (at cost). Visitors are given a tour of the Club and taken through our exciting calendar of activities throughout the year. Special offer for new members joining the Club at the event: day-long introductions to sailing and powerboating later in May free of charge (normally £50)! A registration form will be sent to you to complete prior to the event. Sailing – 30 mins; kayaking – 30 mins. Factor in 2 hours to include shower/changing and BBQ! Loose clothing (not jeans) and old trainers you don’t mind getting wet. Light waterproof jacket. Wetsuit if you have one. A change of clothes and towel if you get wet. The club offers showers and changing rooms.